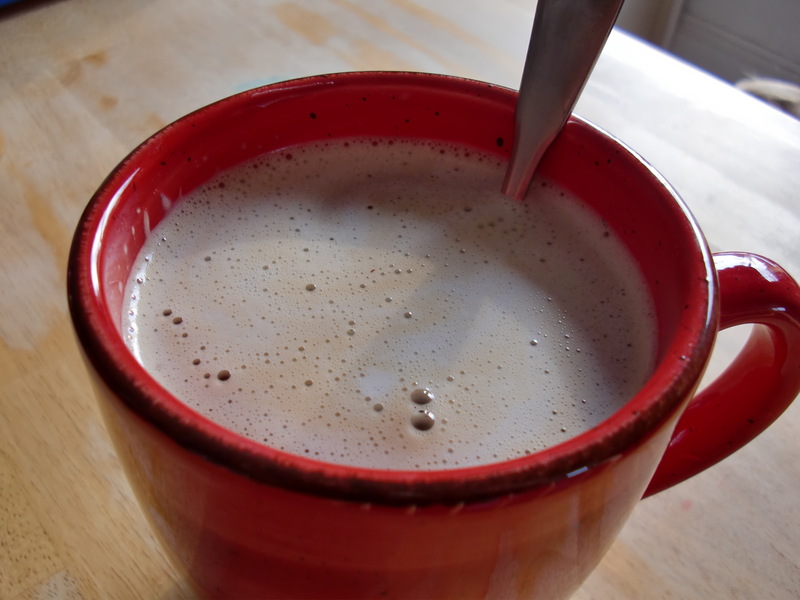 The Weekly Photo Challenge topic for today is…Today. We’re supposed to take a photo today and post it. Today. Usually I read the post and then let the topic float around in my head for a few days until I see something that matches it fairly well, shoot a photo, and post real quick before I get side-tracked. But since the topic today is Today, I thought I ought to take a photo today that exemplifies “today” for me, even though I just finally posted for last week’s topic yesterday. Actually I took twenty-two, but these are the two that made the cut. When I got home from our walk to the library and saw the topic, I was even more irritated than I already was that I’d forgotten my camera. So, this is what today was like after the library. A post-library lunch of leftovers. 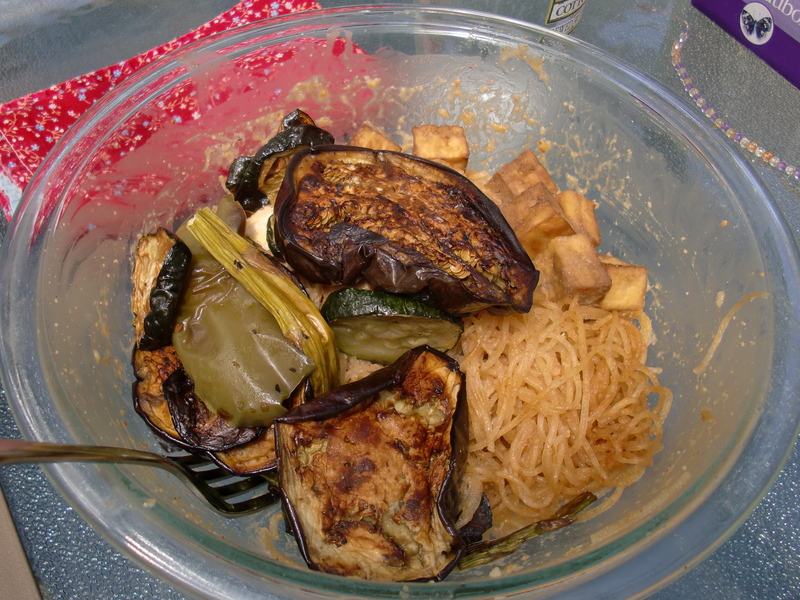 Roasted vegetables, baked marinated tofu, and mung bean threads with spicy peanut sauce. This is my new favorite dinner. And lunch. It’s not pretty, but it’s fan-tastic. I might try it with kelp noodles one of these days. 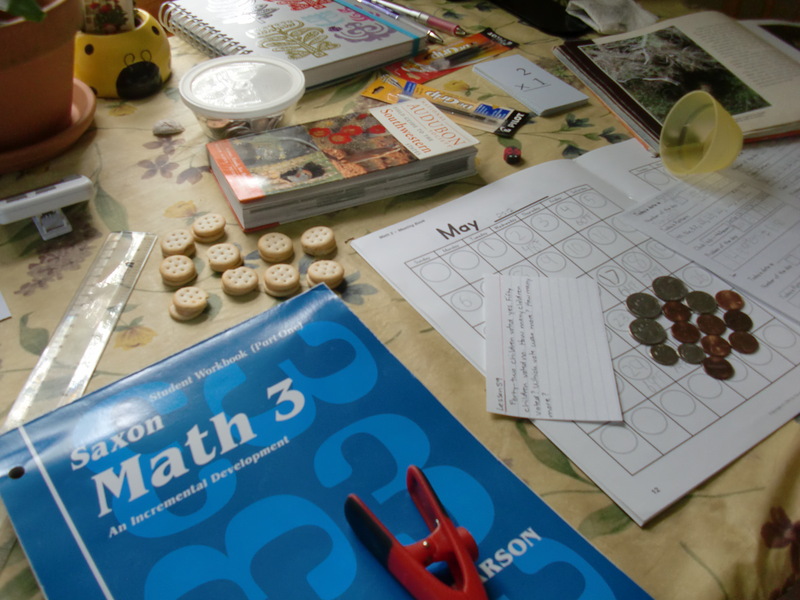 Homeschool math, with the standard multi-tasking/distractions. The mini sandwich crackers are actually part of the lesson. We worked on multiples of two today. The flower pot in the upper left holds a bromeliad, which was part of last week’s science lesson (topic: rain forests). The Audubon guide to the southwestern states and the big cats book (open to the leopard section) are just symptoms of my daughter’s ongoing addiction to all things animal. And then there’s my journal and pen refills, which are there just because after twenty-five years of journaling, I still haven’t figured out a good spot to keep my journal. And thank you for your comment, frizztext! Yum you make me hungry. Thanks for the comment, Jackie. Maybe I’ll post the recipe for the noodles sometime. They’re very easy to make! I enjoyed reading about your day! and the photos. Thanks for sharing, and thanks for the pincback to my post. Much appreciated. Thanks to you, too, for the pingback to my summer post! And thanks for the comment!